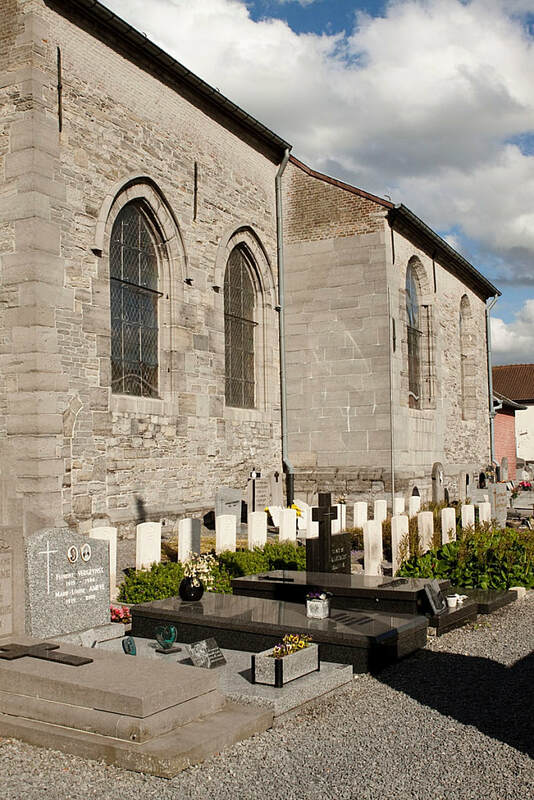 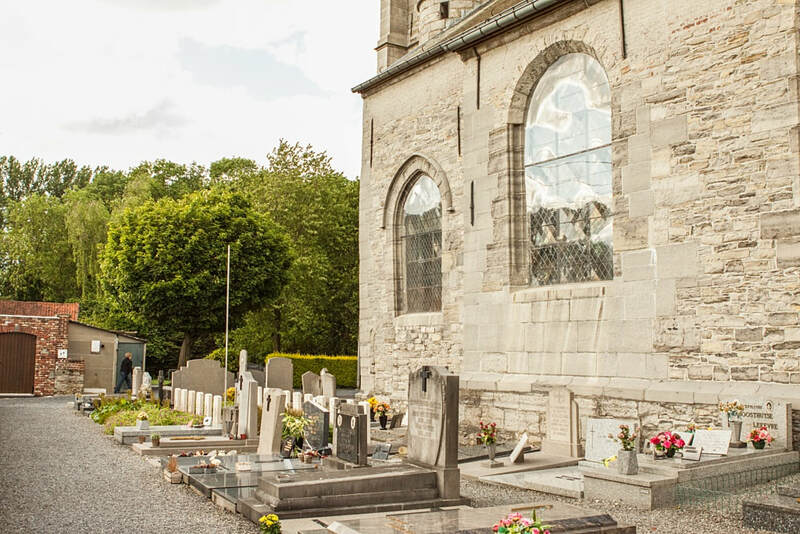 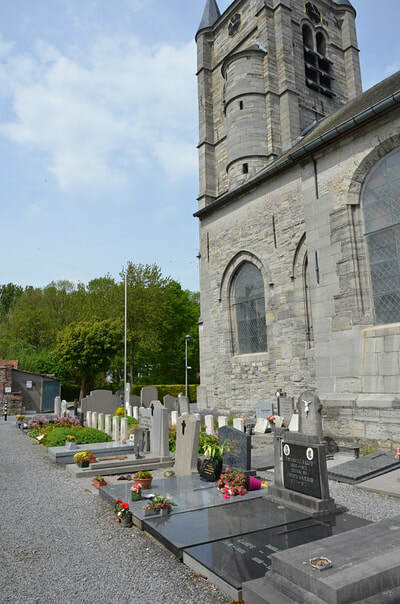 St. Leger-Lez-Pecq Churchyard is located midway between Tournai (17 km) and Kortrijk (14 km) on a road leading from the N50 connecting Tournai to Kortrijk. 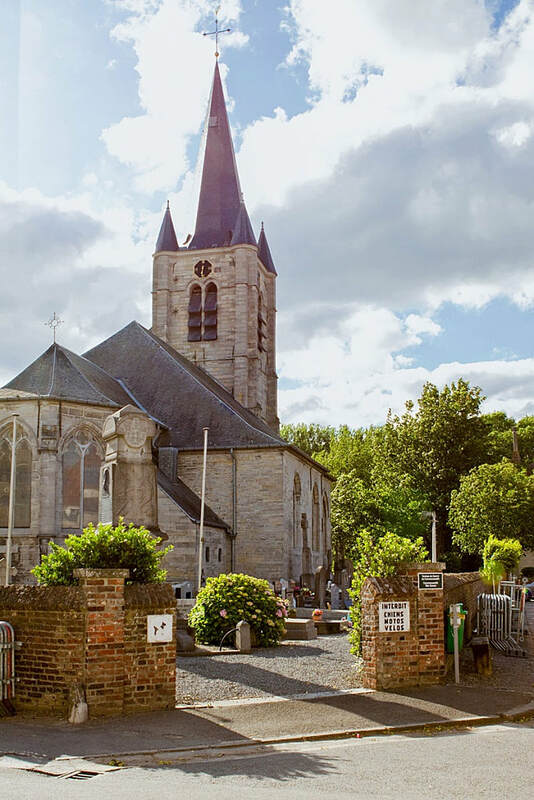 From Kortrijk the N50 leads for 14 km to the right hand turning onto Rue de la Briqueterie. This junction is made prominent by the canal de L'Espierres which lies 100 metres before the junction. 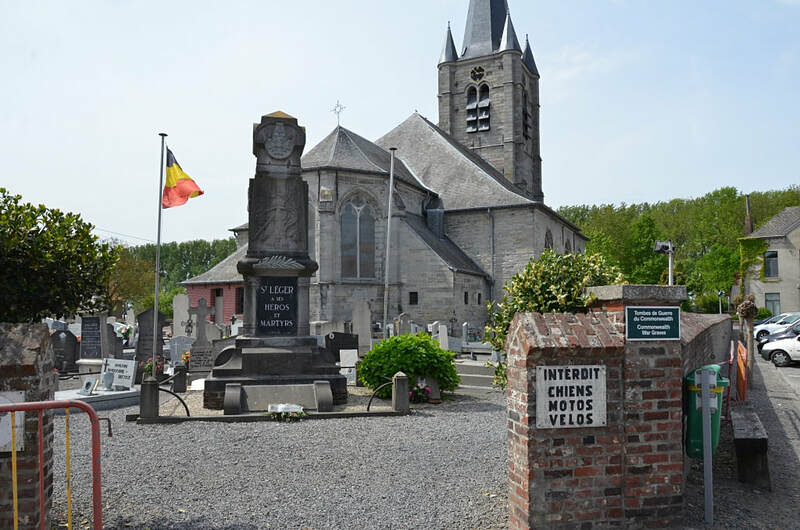 1 km along the Rue de la Briqueterie lies the village of St. Leger. 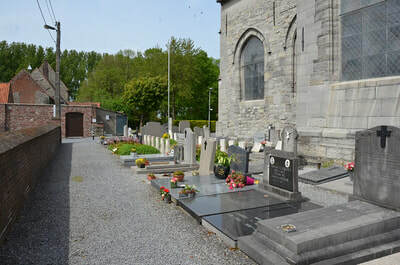 The churchyard is located on the village square. 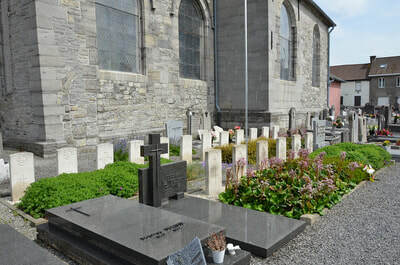 The 1914-1918 burials are to be found in one row on the West side of the Church and the 1939-1945 burials are also on the West side, close to their First World War comrades. 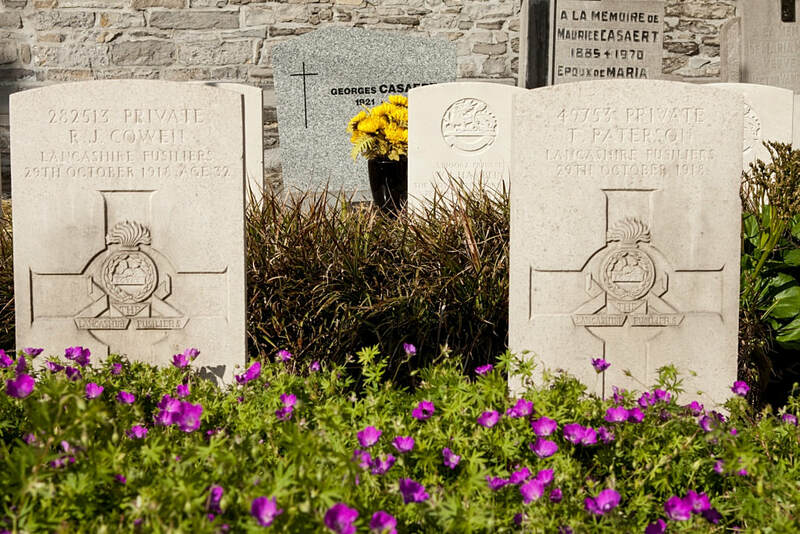 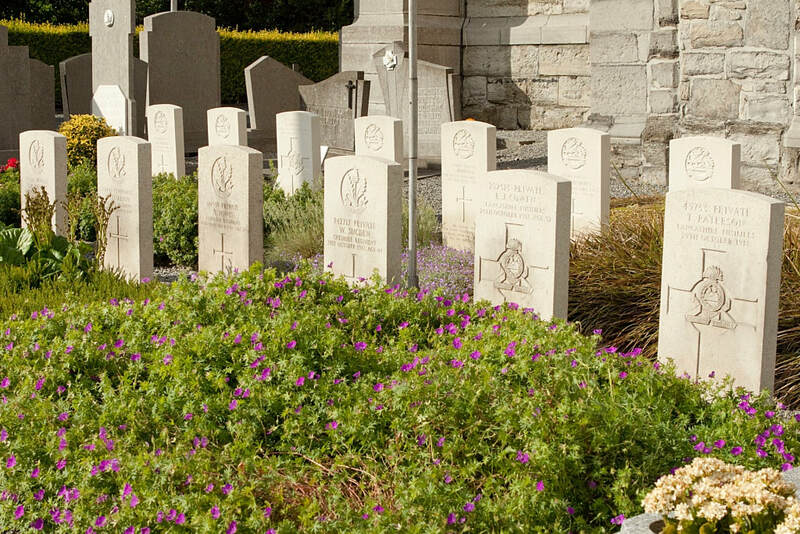 St. Leger-lez-Pecq Churchyard contains 12 Commonwealth burials of the Second World War. 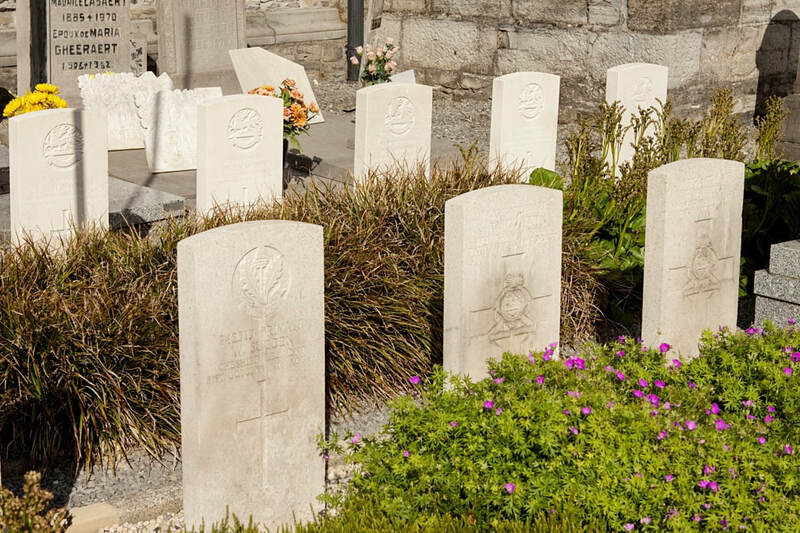 Nearby are six First World War graves, all dating from the Advance to Victory in October and November 1918.